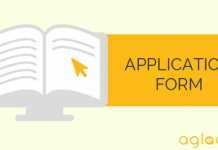 Assam University 2019 Admit Card – Admit Card for Written Exam 2019 will be available online. The candidates are advised to cross-check the information printed in admit card. The admit card mandatory to carry in the examination hall. Candidates may note that the Admit Card will not be sent by post. Get Assam University 2019 Admit card complete information from here. Latest: List of candidates allowed to sit in CRET exam 2019 has been released, scroll down to check the same. Those candidates who fill their Application form completely in all respect on or before the last date of application will be eligible to download the admit card from the official website www.aus.ac.in. Candidates are requested to download the admit card as per the instruction. Click here to check the list of candidates allowed to sit in CRET exam 2019 for the Department of Philosophy. Click here to check the list of candidates allowed to sit in CRET exam 2019 for the Department of English. Click here to check the list of candidates allowed to sit in CRET exam 2019 for the Department of Economics. Click here to check the list of candidates allowed to sit in CRET exam 2019 for the Department of English, AUDC. Click here to check the list of candidates allowed to sit in CRET exam 2019 for the Department of Physics. Click here to check the list of candidates allowed to sit in CRET exam 2019 for the Department of Political Science. Click here to check the list of candidates allowed to sit in CRET exam 2019 for the Department of Commerce. How to download the Assam University Admit Card 2019? Candidates have to visit the official website or click on the direct link will be provided here. Navigate the link that says Assam University Admit Card 2019. Click on the link and fill the ask details like application number, roll number, date of birth etc. After submitting the details Admit card will be displayed on Candidates computer screen. Candidates are strongly advised must take a printout of their Assam University 2019 Admit Card and keep it safely for future use till the admission process will over. This is a very important document without admit card candidates will not be allowed to enter the examination hall. The website of assam university is so poor and difficult to find and download the admit card… I have filled my application form but unable to download my admit card. I would recommend to develop the website and make it easier for the students.